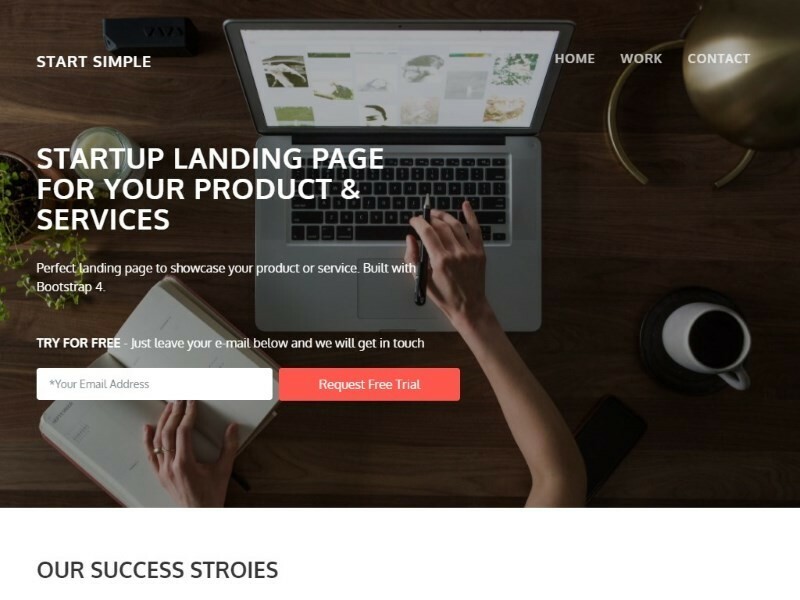 Start Simple - Template for Startups and Small Business at templateflip.com is a device-agnostic, modern responsive design that is customizable. It's designed to work well on desktops, laptops, tablets and mobile phones. This is simple yet elegant one page template for Startups and Small Business. It has been built with Bootstrap 4 and is easy to edit and customize. The design is completely responsive and displays perfectly on every screen size and responds well to window size changes.